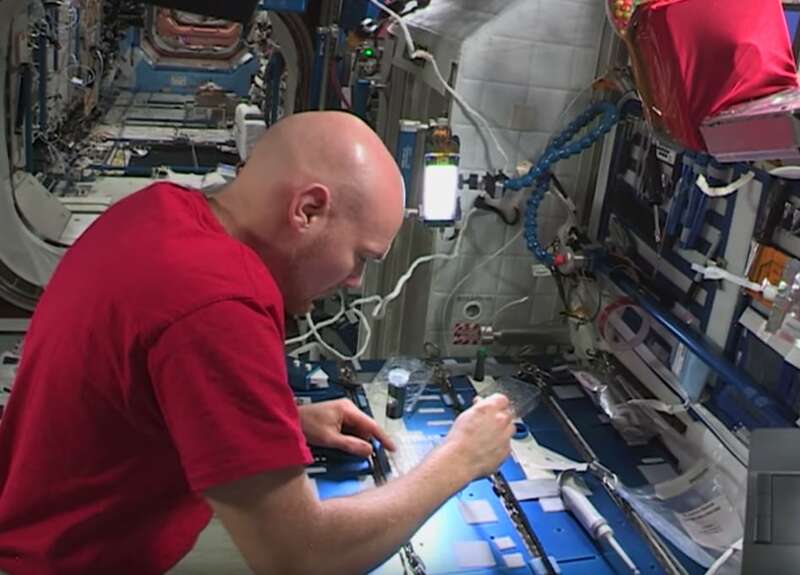 About 7 p.m. EDT Wednesday, International Space Station flight controllers in Houston and Moscow began seeing signs of a minute pressure leak in the complex. 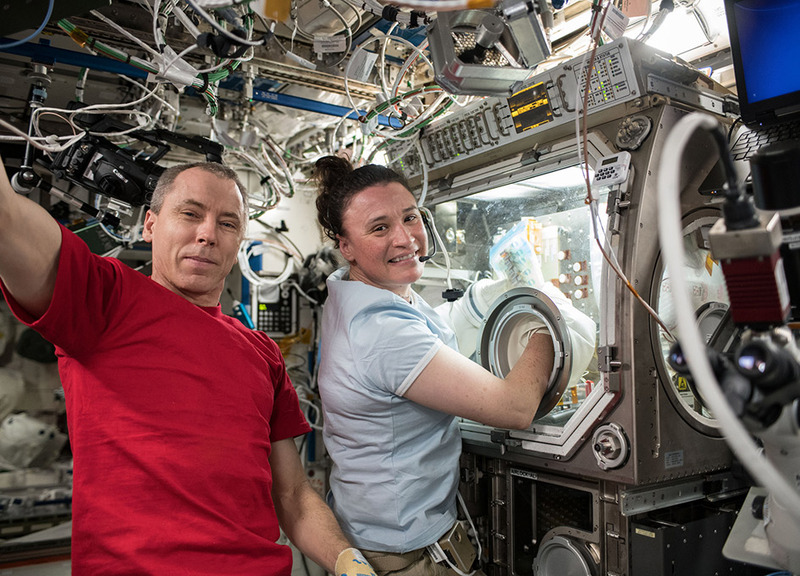 The six residents aboard the International Space Station today continued exploring how living in space impacts their bodies. September is scheduled to be a busy month for the Expedition 56 crew aboard the International Space Station. The Expedition 56 crew members started off the work week with biomedical studies and human research to understand how living in space impacts their bodies. 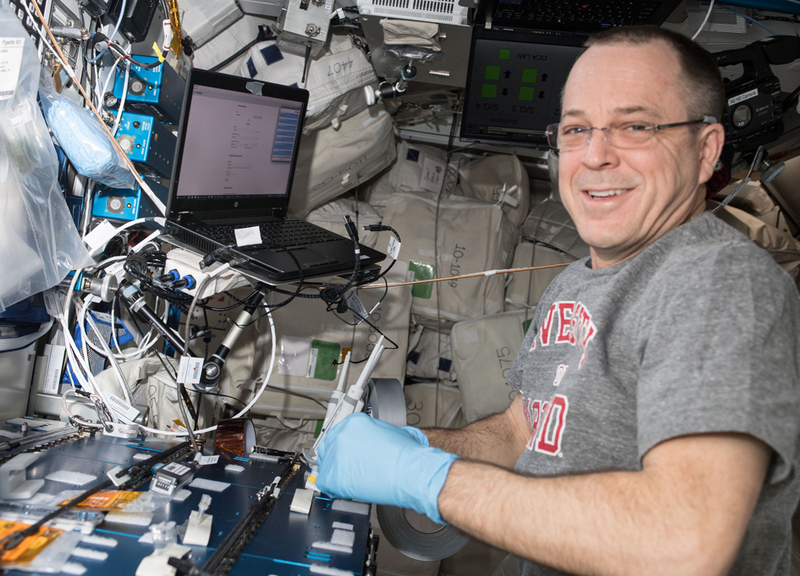 Ongoing exercise research and gym maintenance took place aboard the International Space Station to ensure astronaut health and mission success. 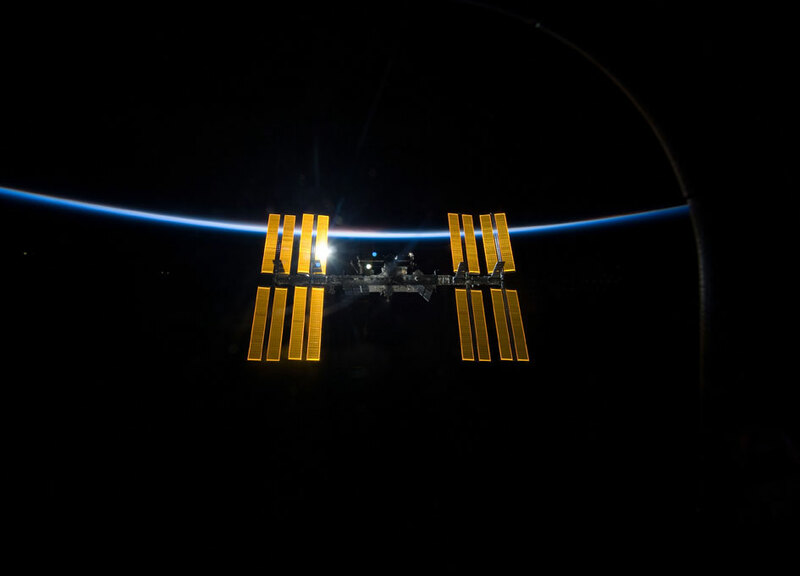 A Russian cargo ship departed the International Space Station Wednesday night as another resupply mission from Japan is planned in September. 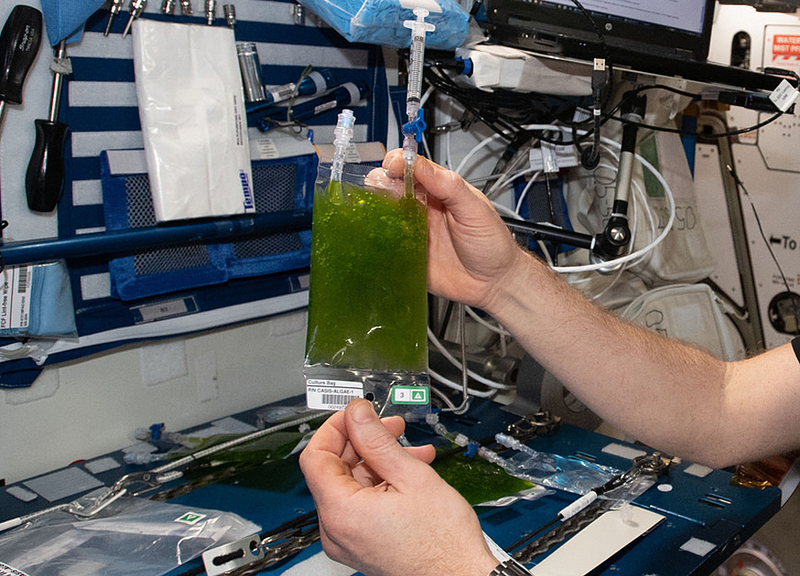 Astronaut Alexander Gerst of ESA (European Space Agency) checks a culture bag for the Space Algae experiment. 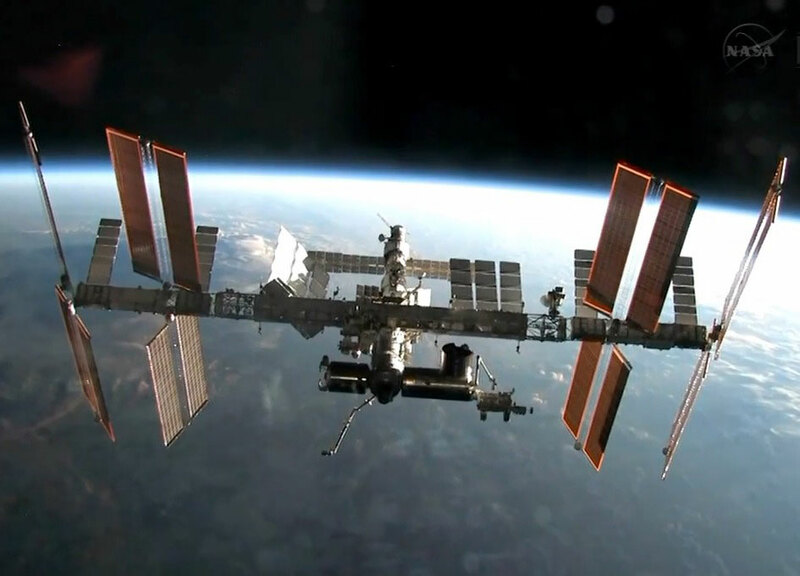 A Russian cargo ship is packed and ready for departure tonight from the International Space Station after a six-month stay. Today - BioServe Protein Crystallography (BPC)-1: The crew performed BioServe Protein Crystallography Microscope operations today. 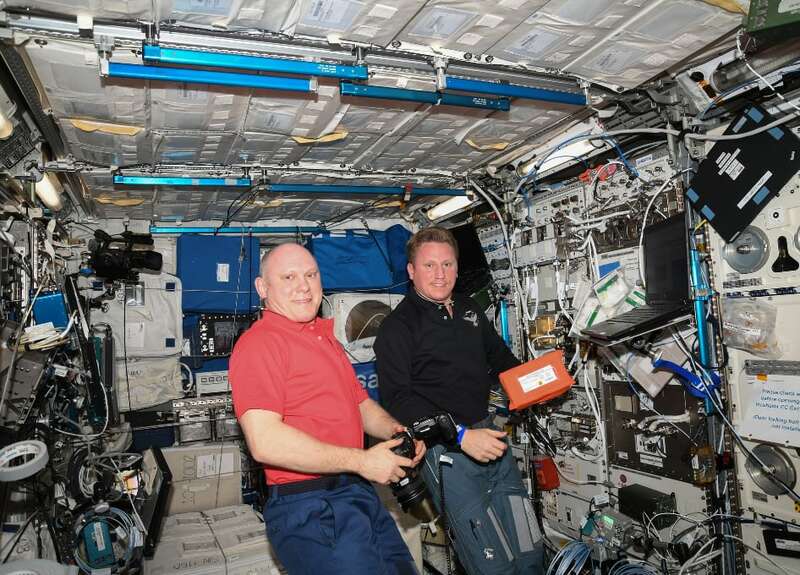 A pair of German experiments took place aboard the International Space Station today including a space exercise study and the installation of an Earth spectral sensor. 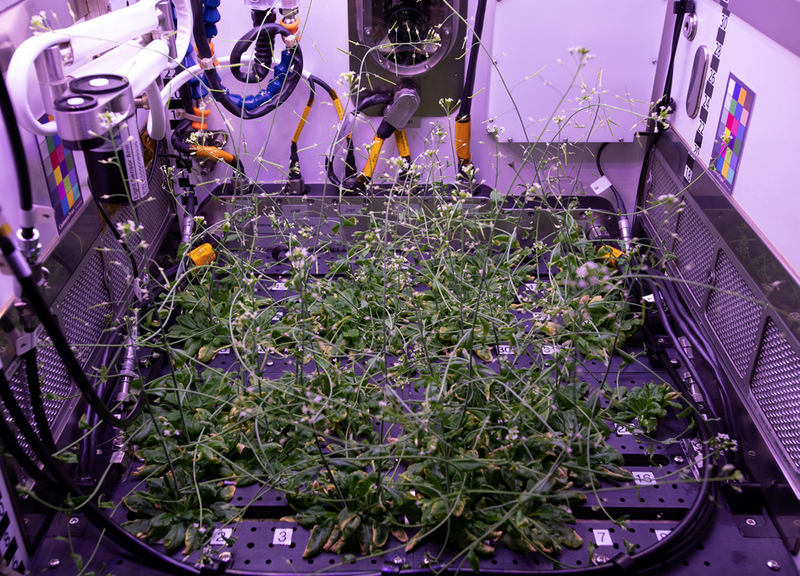 Arabidopsis plants are pictured before being harvested inside the Plant Habitat-01 housed inside Europe's Columbus laboratory module. The Expedition 56 crew members explored using algorithms to remotely control a robot on the ground and satellites from the International Space Station today. 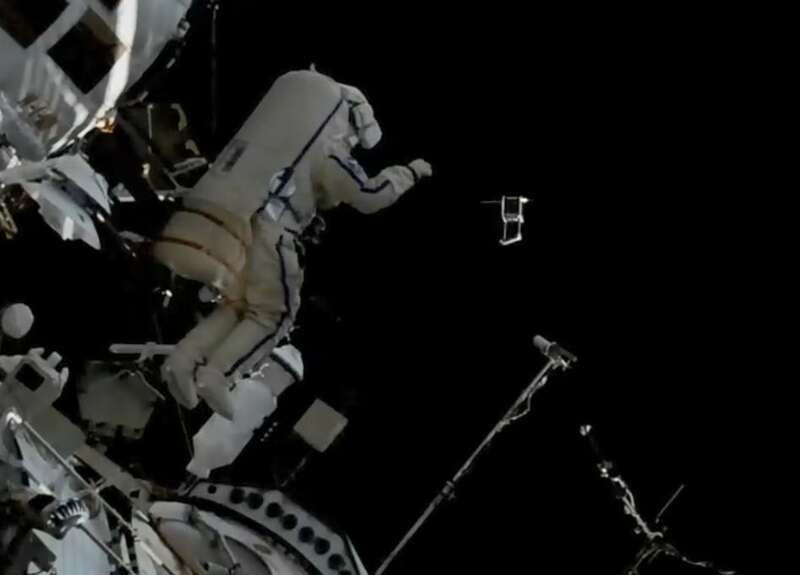 Roscosmos cosmonaut Sergey Prokopyev hand deploys one of four nano satellites just outside of the Pirs docking compartment airlock during a spacewalk. 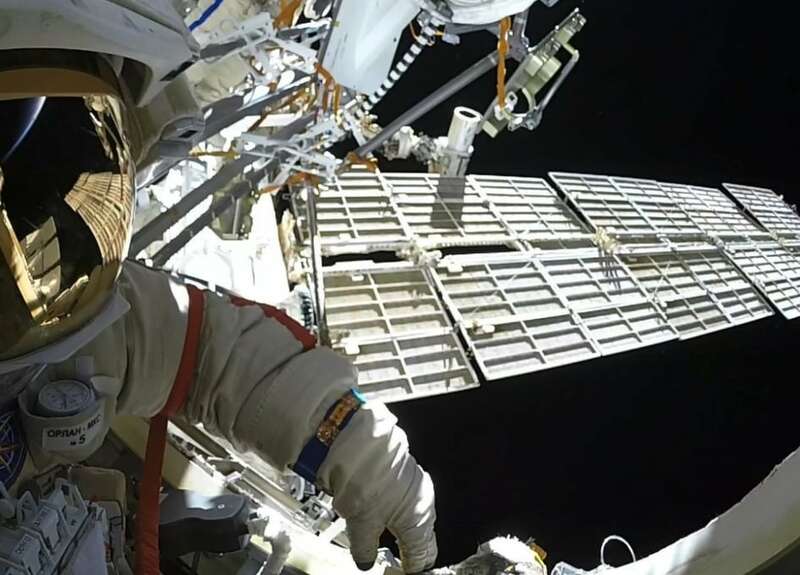 Today: Russian ExtraVehicular Activity (EVA) 45: Yesterday, Artemyev (EV1) and Prokopev (EV2) exited the Docking Compartment (DC)1 at 11:17 AM CDT and completed Russia EVA #45 with a Phased Elapsed Time (PET) of 7 hours and 46 minutes. 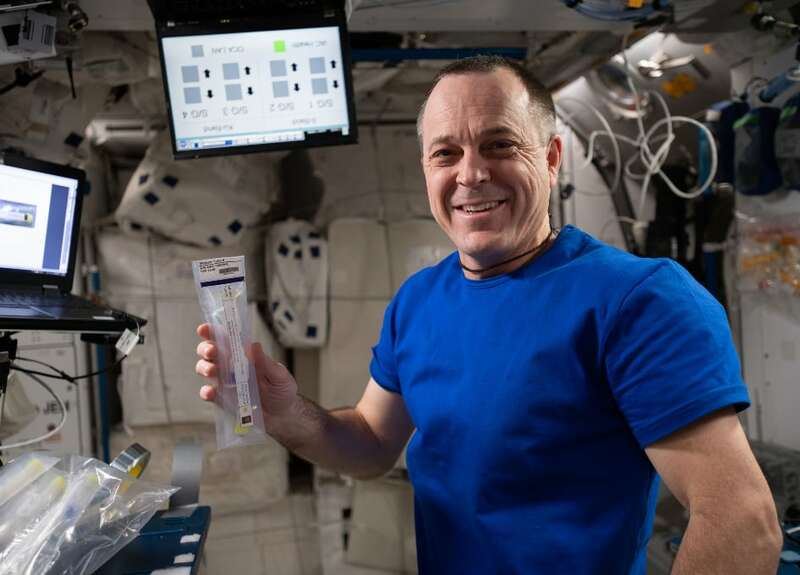 Expedition 56 Flight Engineer Ricky Arnold prepares amplified DNA collected from microbes living aboard the International Space Station for sequencing using the Biomolecule Sequencer. 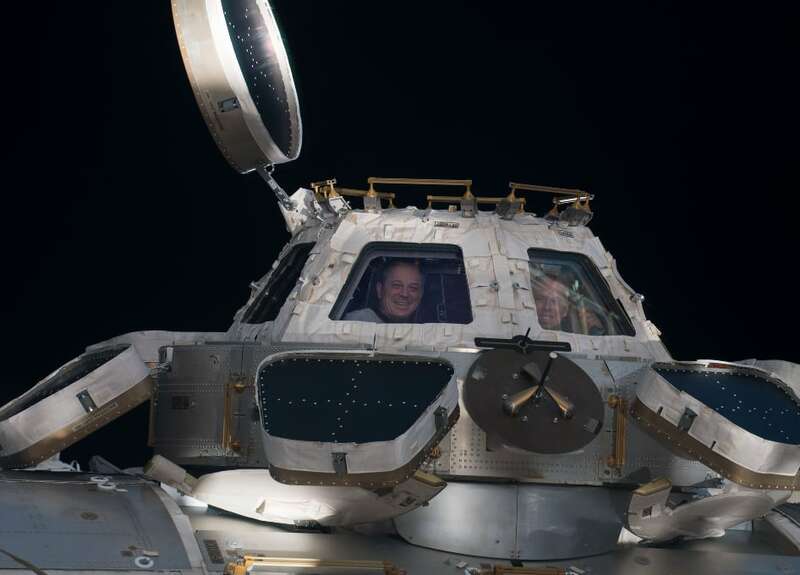 Expedition 56 Flight Engineers Oleg Artemyev and Sergey Prokopyev of the Russian space agency Roscosmos began a spacewalk when they opened the hatch of the Pirs docking compartment of the International Space Station at 12:17 p.m. EDT. 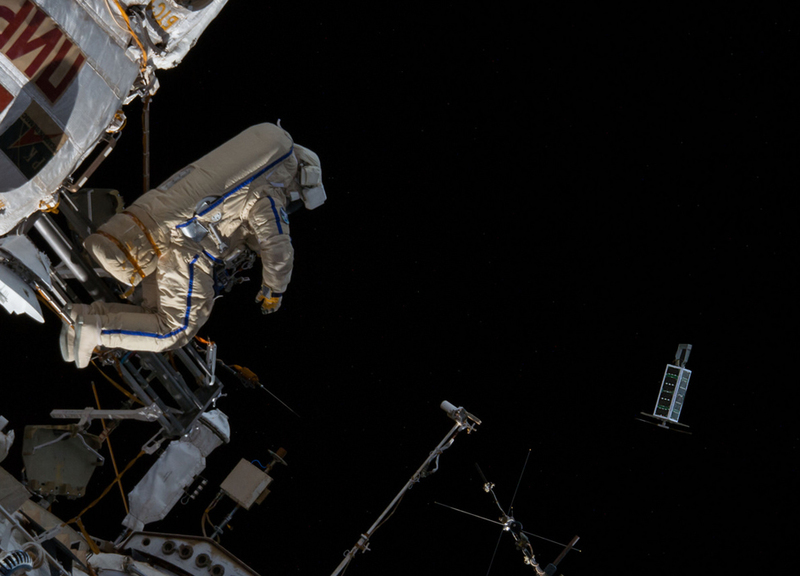 The Expedition 56 crew is getting ready for a spacewalk Wednesday outside the International Space Station's Russian segment. Two Expedition 56 cosmonauts packed a Russian resupply ship today before preparing for Wednesday's spacewalk. 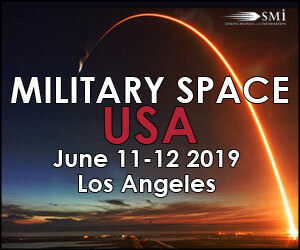 A pair of cosmonauts are going into the weekend preparing for the seventh spacewalk this year from the International Space Station. 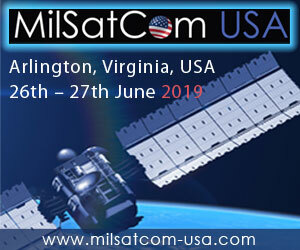 Today - HTV-7 Rack Relocation Prep: This week the crew has been executing a series of activities in order to prepare ISS for the installation of new racks arriving on HTV-7. The Expedition 56 crew members explored how human health and physical processes are affected off the Earth today. The six-member Expedition 56 crew was busy Tuesday juggling science hardware maintenance and a variety of research work. 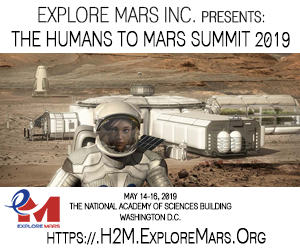 The orbital residents are also helping students contribute to space research and testing an ancient navigation technique. 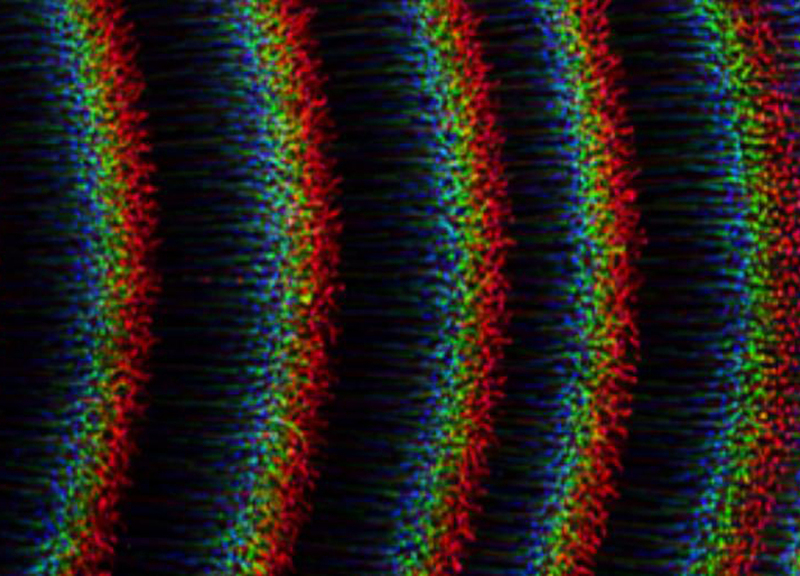 400 kilometers above Earth, researchers examined waves in complex plasma under microgravity conditions and found that the microparticles behaved in nonuniform ways in the presence of varying electrical fields. 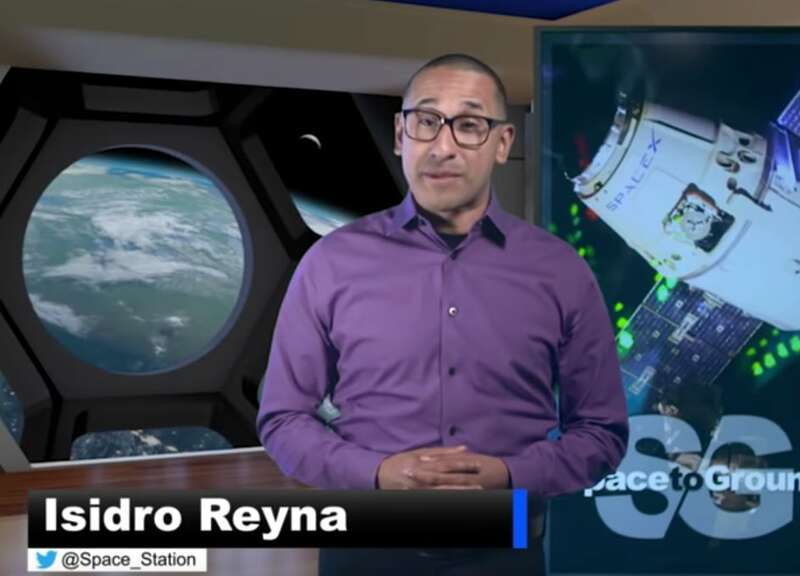 Robotic flight controllers released the SpaceX Dragon cargo spacecraft from the International Space Station's robotic arm at 12:38 p.m. EDT, and Expedition 56 Serena Auñon-Chancellor of NASA is monitoring its departure. 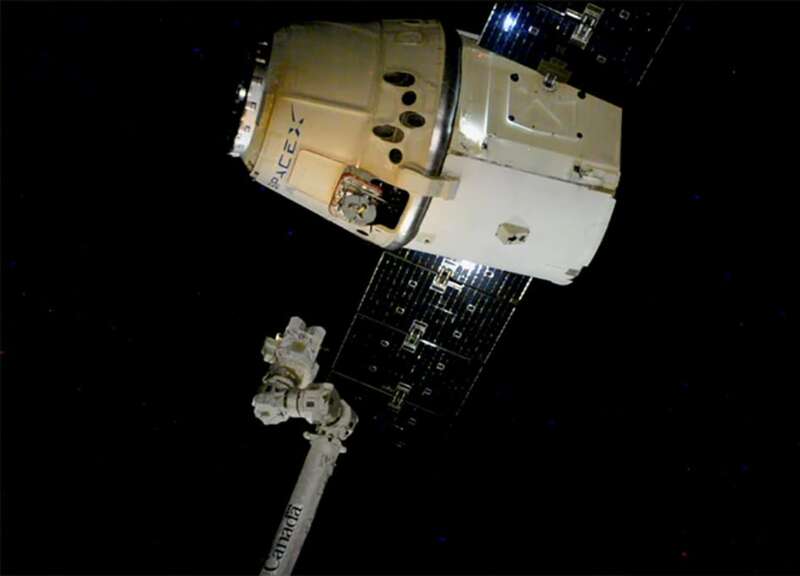 The SpaceX Dragon cargo craft is packed with science and hardware ready for return to Earth on Friday. 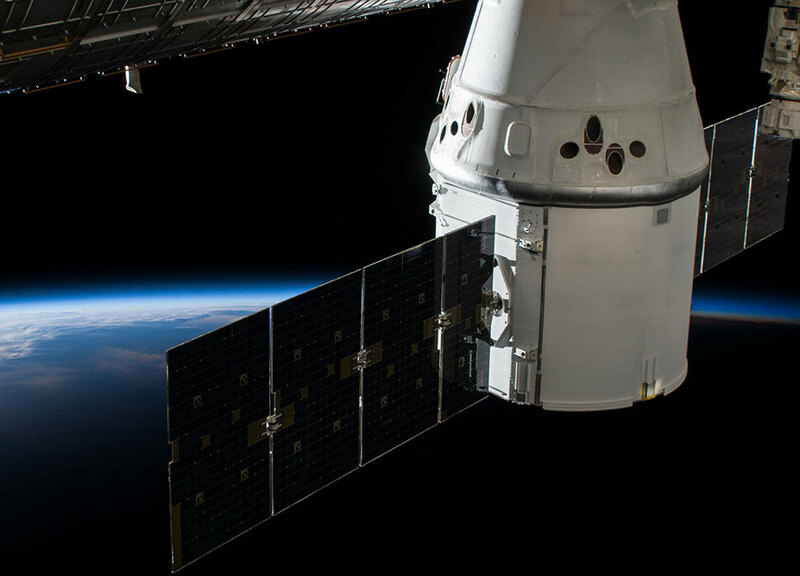 The International Space Station Partners and mission managers polled "go" for tomorrow's release of the SpaceX Dragon cargo craft for its deorbit and splashdown in the Pacific Ocean to wrap up the CRS-15 mission. 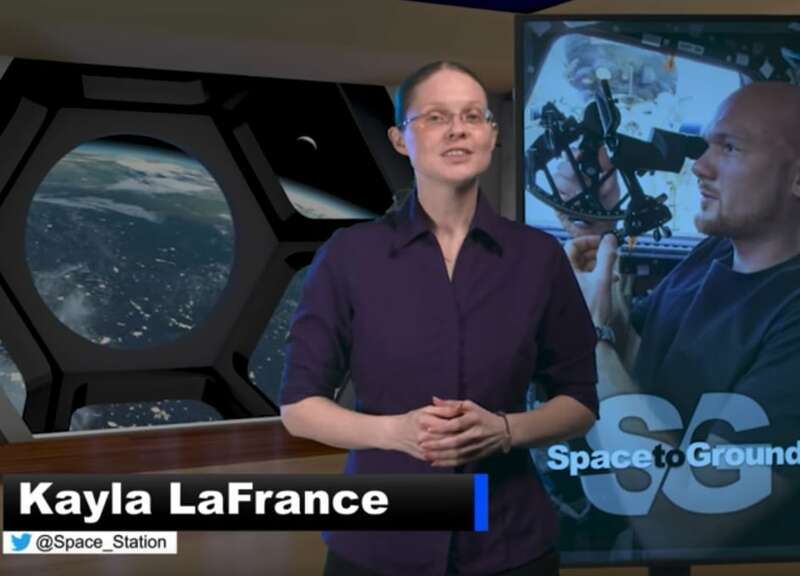 Numerous microgravity investigations are wrapping up this week onboard the International Space Station. 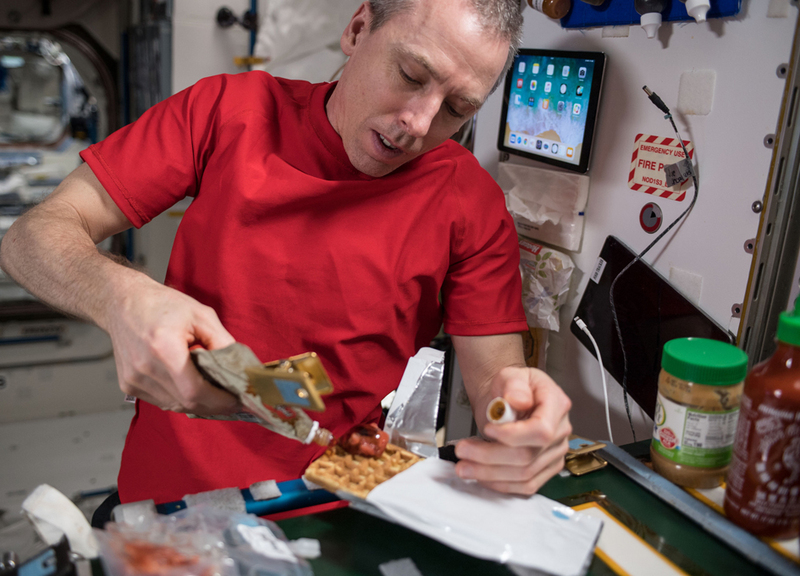 The Expedition 56 crew is carefully packing the research results and science gear inside the SpaceX Dragon cargo craft for return to Earth on Friday.